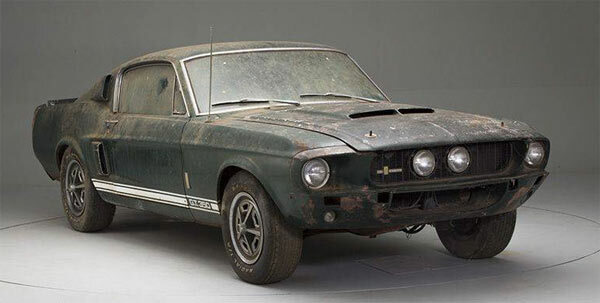 Usually when we feature a barn or field find vehicle, its usually shot on location in all its grubby glory. However, when a vehicle in the same condition is shot just like a high-end car – photo studio with perfect lighting it immediately gives the vehicle a sense of worth. If anything, it proves the point – great images with a car, selleth a car. This 1967 Shelby GT350 has had one owner from new, who due to the initial oil crisis of the early 70s, parked the car up and bought a Volkswagen of all things. 27 years later it was crow barred from its barn slumber as you see it today ready for a full restoration. The car now comes with a Marti Report and Shelby Registry paperwork. Factory options include fold down rear seat, power steering, power front disc brakes, center headlights, tach. amongst others. No bumper though on this one for some reason. 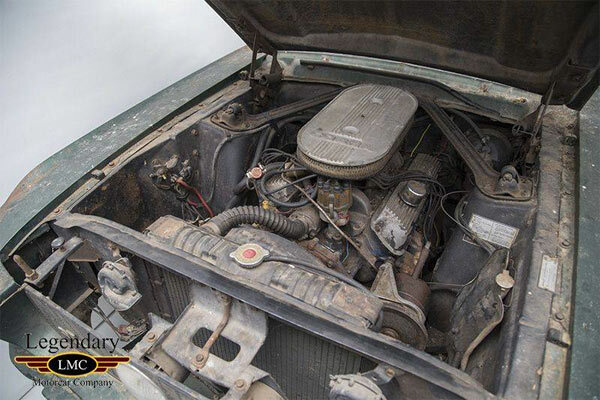 The asking price is not exactly at barn find prices which means anybody who snapped this one up will need to be confident that they can make a good chunk on top of the asking price. 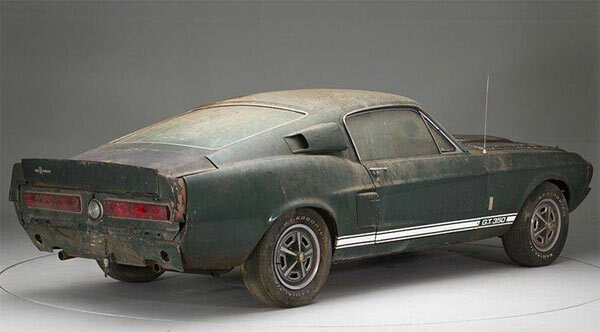 Luckily, being a Mustang and a GT350 it’s one of the safest bets to restore a car and know that the value will steadily increase and there is a sizeable market. 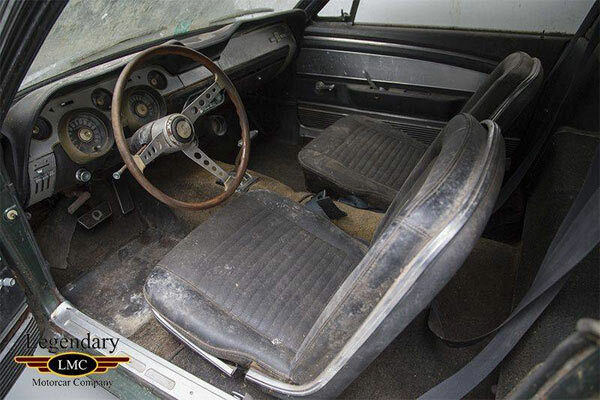 To the right buyer you may be able to even double your money on this restoration. Would you go for this one?